The best tactical folder knife is the Benchmade Griptilian 553. 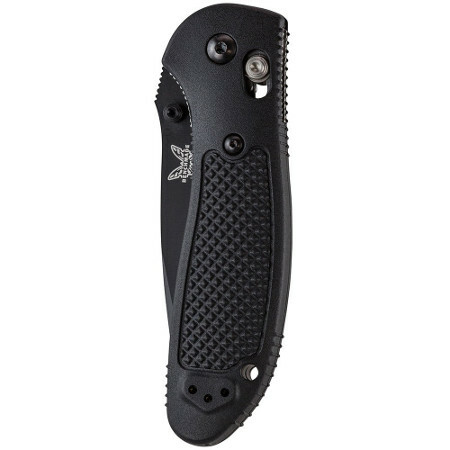 Why is the Benchmade Griptilian 553 the best tactical folder? Quality Materials – 154CM stainless steel blade is tough, rust-resistant, and holds an edge well. The glass-filled nylon handle is tough yet attractive, making it ideal for hard jobs and everyday carry. Quality workmanship – Benchmade’s limited Lifetime Warranty and LifeSharp Service keep your knife in the best condition. If your knife needs repair or sharpening, Benchmade will take care of it. Design – AXIS lock is exceptionally strong and fully ambidextrous. The Griptilian 553 is a manual folder knife that can be opened and closed single-handedly. The 553’s tanto blade has a very high tip strength, making it good for tactical uses. It’s also versatile enough for everyday applications. Ergonomics – The 553’s lightweight design and handle grips make it comfortable to hold and use. The reversible pocket clip offers ultimate accessibility. I owned a Benchmade Griptilian 553 a few years ago but it was stolen out of my car. It was an amazing knife that could cut countless ropes, seat belts, canvas straps and blue jeans and remain razor sharp. The grip is superb and I have found none better, for a sure grip in water or sweat. The 553 is light but not too light and very comfortable in either hand. The blade can be opened with one hand. It’s definitely a high quality tactical folder that will store in any size pocket. It’s compact yet easy to handle in a stressful situation. I highly recommend the Griptilian 553 folder knife. So why is the Griptilian 553 the best? Quality Materials: 154CM stainless steel blade is tough, rust-resistant, and holds an edge well. The glass-filled nylon handle is tough yet attractive, making it ideal for demanding jobs or everyday carry. Design: AXIS lock is exceptionally strong and fully ambidextrous. The Griptilian 553 is a manual knife that can be opened and closed single-handedly. Ergonomics: The 553’s lightweight design and handle grips make it comfortable to hold and use. The reversible pocket clip offers ultimate accessibility. Versatility: The 553’s tanto blade has a very high tip strength, making it good for tactical uses. It’s also versatile enough for everyday applications. Lifetime Guarantee: Benchmade’s limited Lifetime Warranty and LifeSharp Service keep your knife in the best condition. If your knife needs repair or sharpening, Benchmade will take care of it. Available for knives purchased from an authorized dealer. I had a Benchmade Griptilian 553 pocket knife but it was stolen a few years ago. It was an awesome tactical knife. The grip was non-slip, even with sweaty hands or if dropped in water. It was also comfortable in my hands. It wasn’t too heavy or too light. The black blade opens easily with one hand. The blade lock is very secure and will never close accidentally. I cut countless ropes and seat belts with it and it remained razor sharp. The black finish makes this tactical knife invisible at night. Benchmade is a name you can trust for high quality. You can never go wrong with a Benchmade knife.